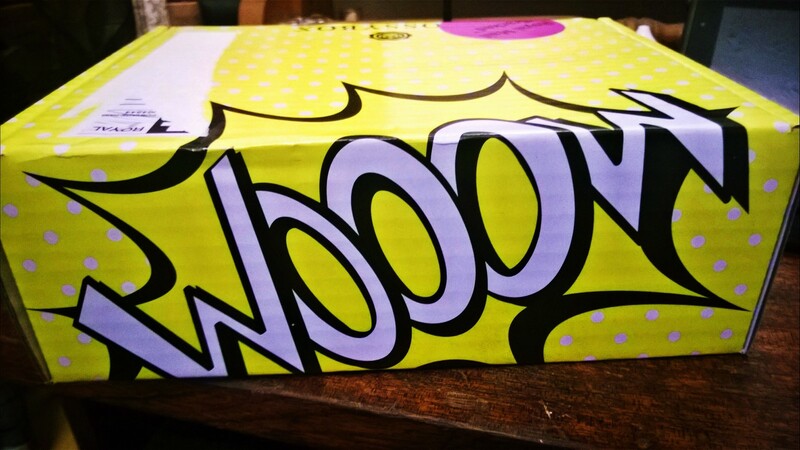 My first ever Glossy Box! 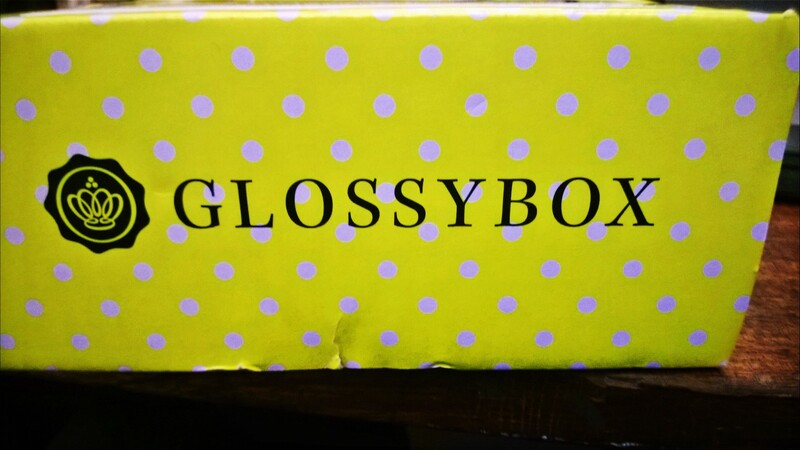 October 28, 2014 October 29, 2014 by AdoremydietLeave a Comment on My first ever Glossy Box! 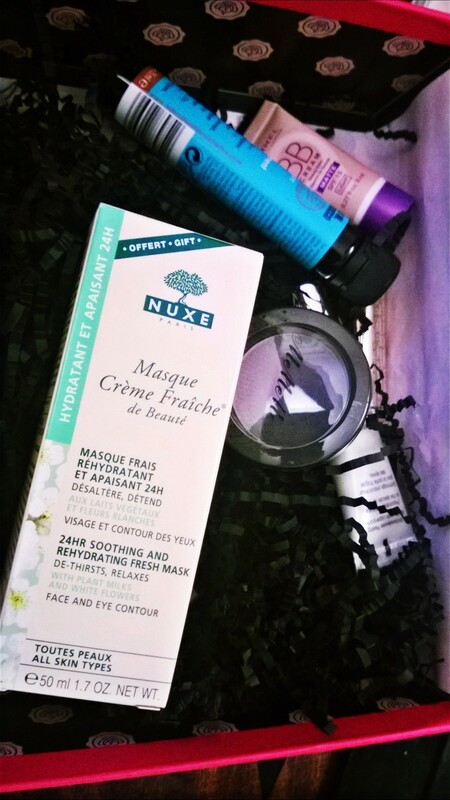 Yay, my October Glossy Box arrived! 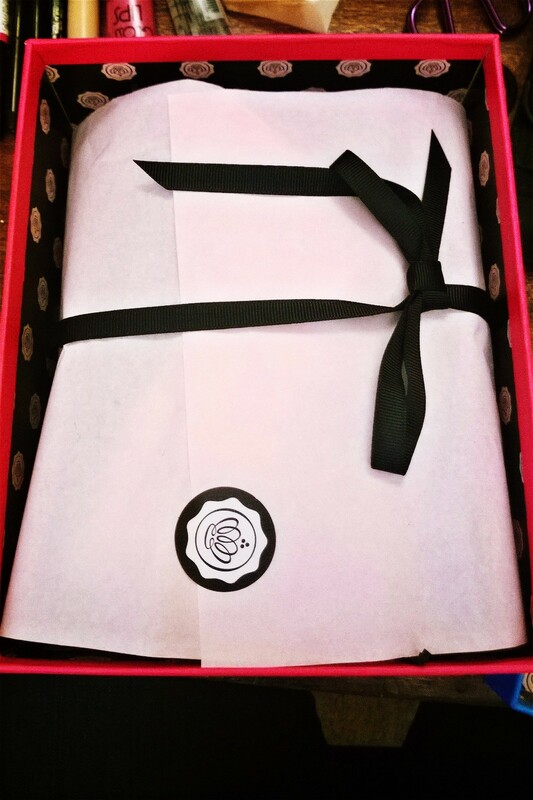 This is super super exciting, like Christmas, Easter and my Birthday rolled into one, I am looking forward to giving you an honest review on everything I received in my first EVER Glossy Box! 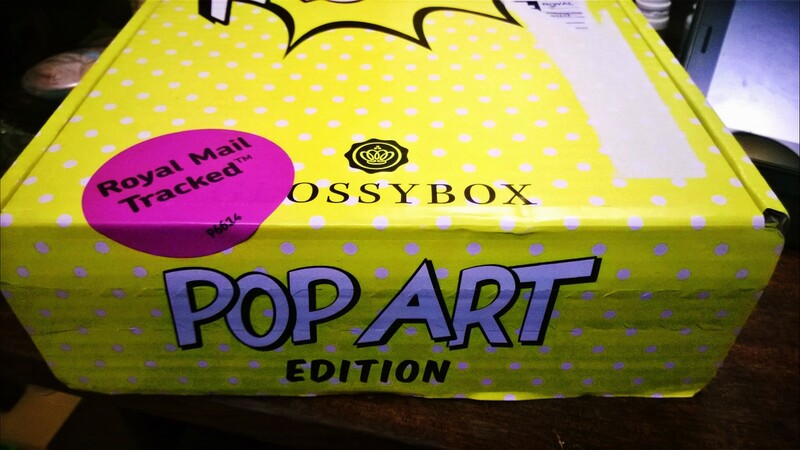 The actual box is just too cute, pop art style, definitely a keeper and I was impressed with how beautiful the inside presentation of the box was! 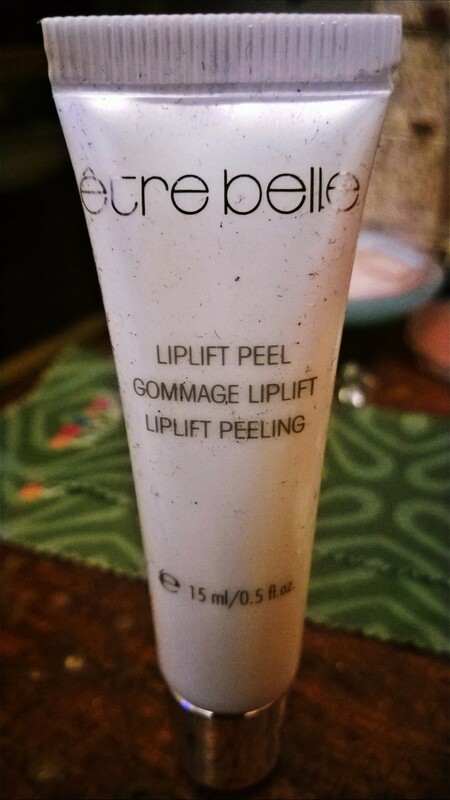 être belle Lip Lift peel, I tried this the minute I opened it, it is supposed to provide gentle exfoliation for your lips to make them feel really soft it has tiny grains inside it and felt like a cream in texture, the smell was lovely. I definitely had softer lips and this was the first time I had tried any lip exfoliator and I was pleasantly pleased, this has made me want to try the Lush lip sugar even more! 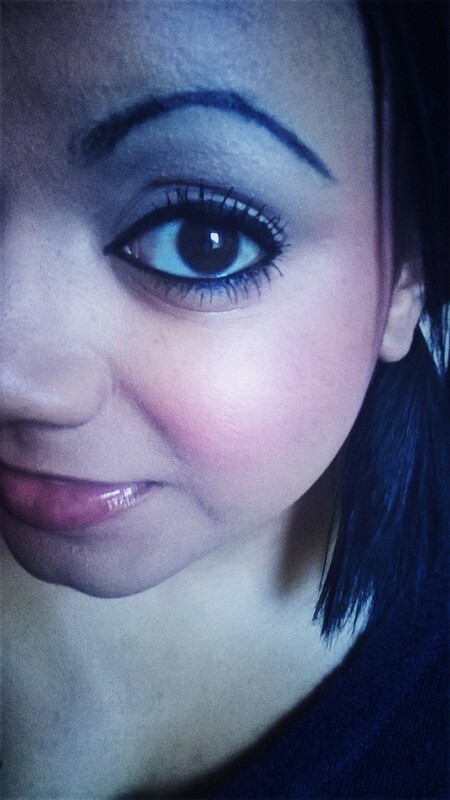 Me Me Me, elegant eyes. 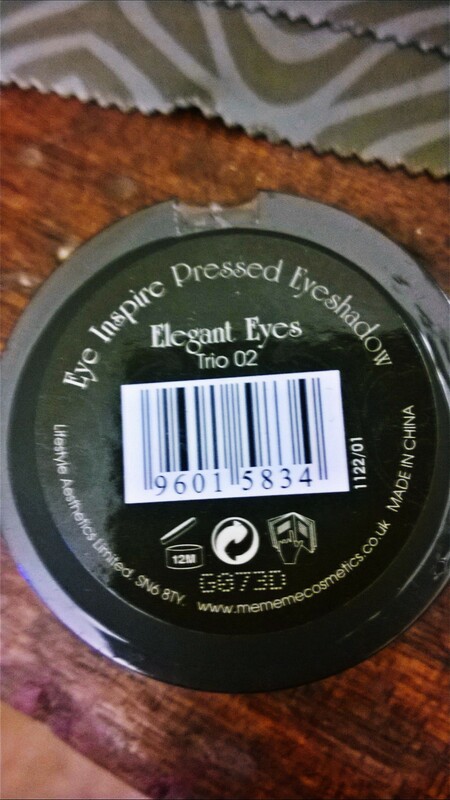 I am yet to try this trio eye shadow, purple, grey and black. I do like the look of it though and will let you know when I have used it by doing a review of it’s own soon! 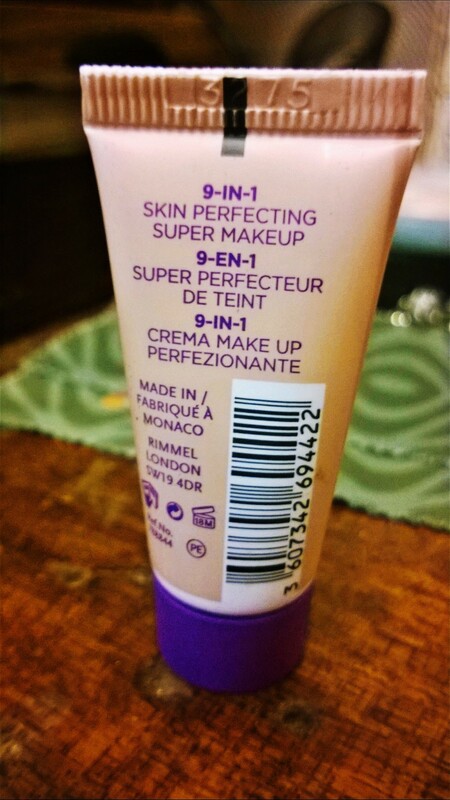 Rimmel london BB Cream, sample size in the colour light, this personally was disastrous for me, firstly it was way too light for my skin tone and secondly it just does not cover any of my darker pigmentations on my face. I don’t like it for me but for someone who has great skin and hardly any darker marks it would work really well as the consistency is for the barely there look. Not for the combination skin, in my own opinion! So there you have it lovely people, that is my review, I honestly did love it and I felt so happy on the day I got it and I really am looking forward to opening November’s one….bring it on! 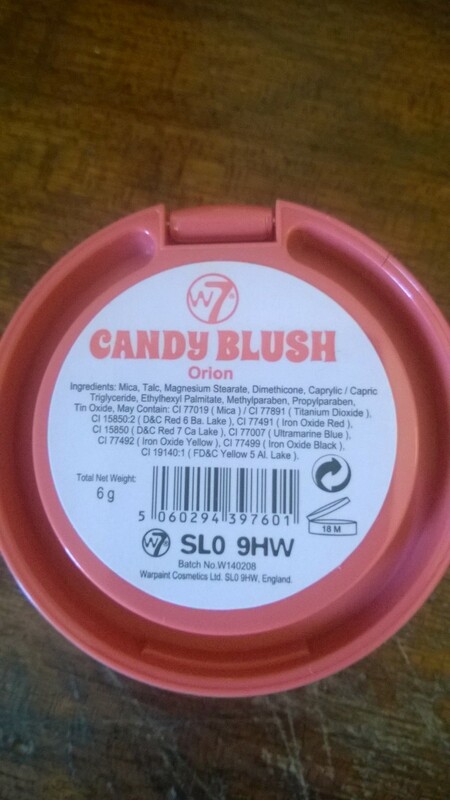 October 21, 2014 by Adoremydiet3 Comments on W7 Candy Blush amazing! 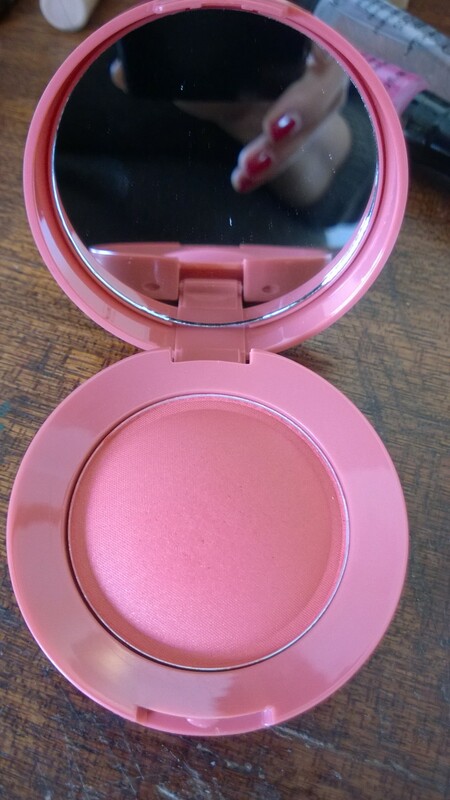 Wow, what an intense colour for a blusher, I made the mistake of not blowing my brush before applying and yes again I will say wow, definitely wont be using a lot of it, will be using it in a more subtle way. 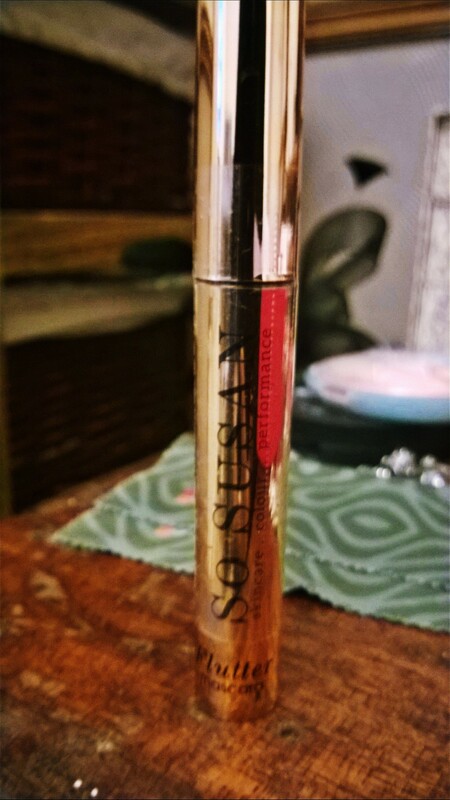 It is a cute little compact size and it also has a mirror too, what is not to like! 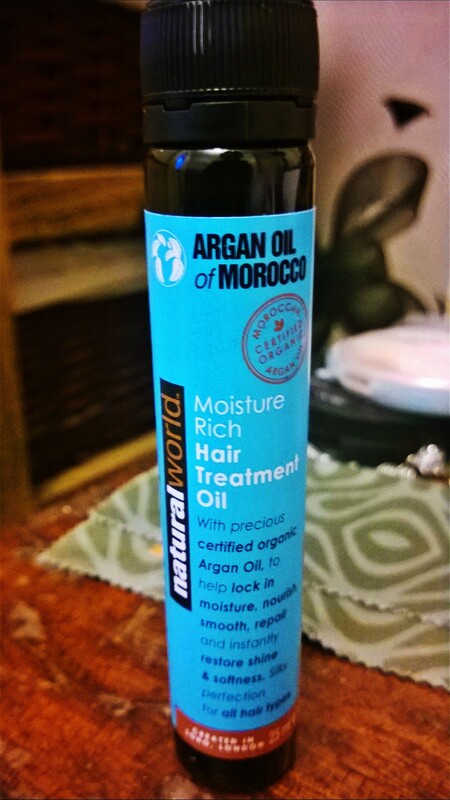 Upon application it goes on really well and does not cake upon re- application through the day. They come in 4 different shades and I will quite happily make my way through them! 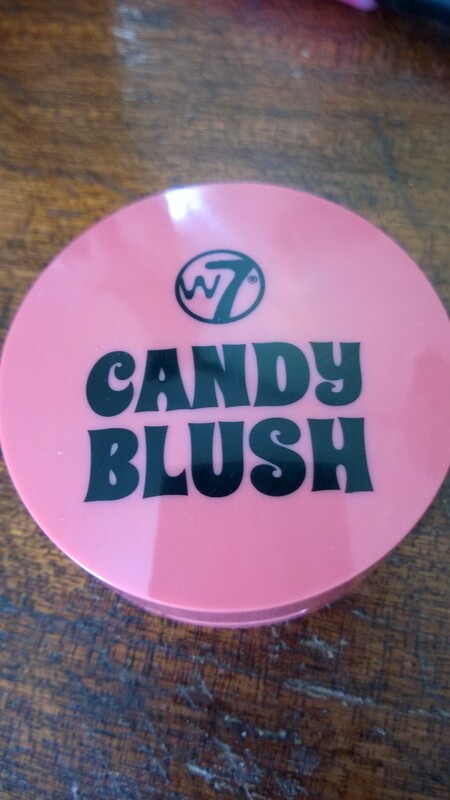 It is funny because I genuinely am a bit of a label girl, but having tried W7’s eye shadows I think this brand has so much more on offer than I originally thought! I am now on a bit of a trip and am finding out about lots of different brands that I had not even heard of. 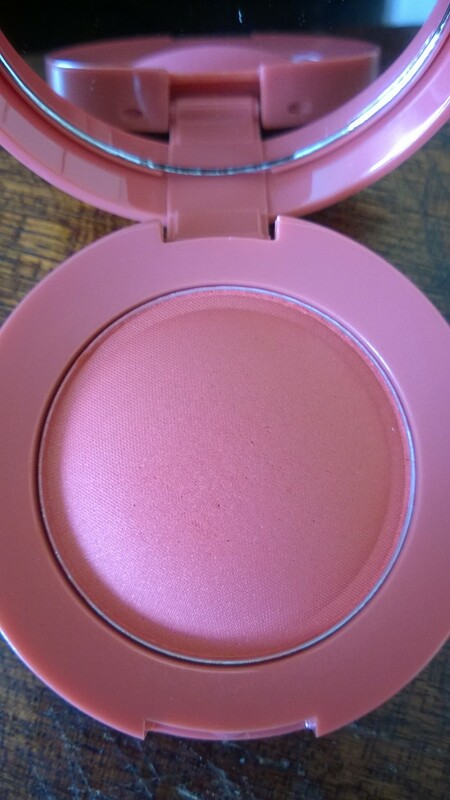 Great blusher, bargain price too! 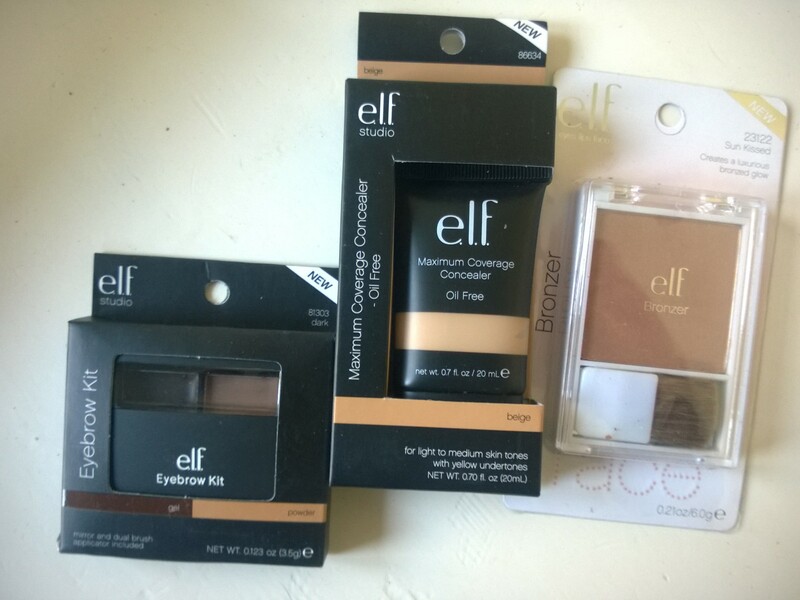 My e.l.f Make Up Mini Haul…. 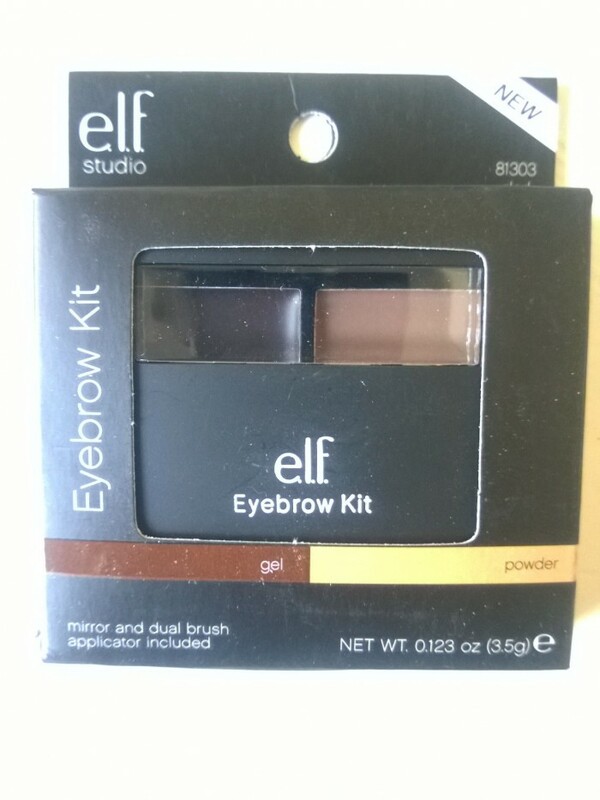 September 9, 2014 by Adoremydiet8 Comments on My e.l.f Make Up Mini Haul…. 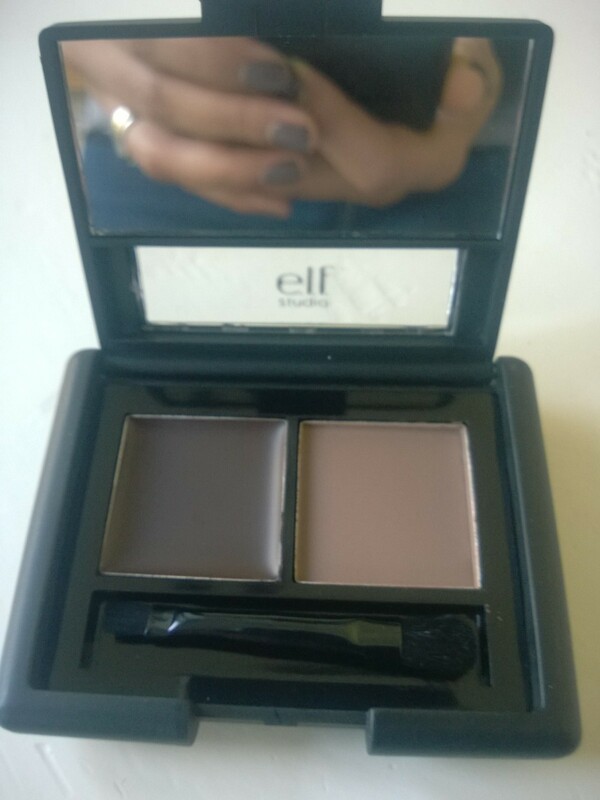 So I received these items today (yay), I decided to order from e.l.f (eyes lips face) their eyebrow kit in dark, maximum coverage concealer in beige and their bronzer. 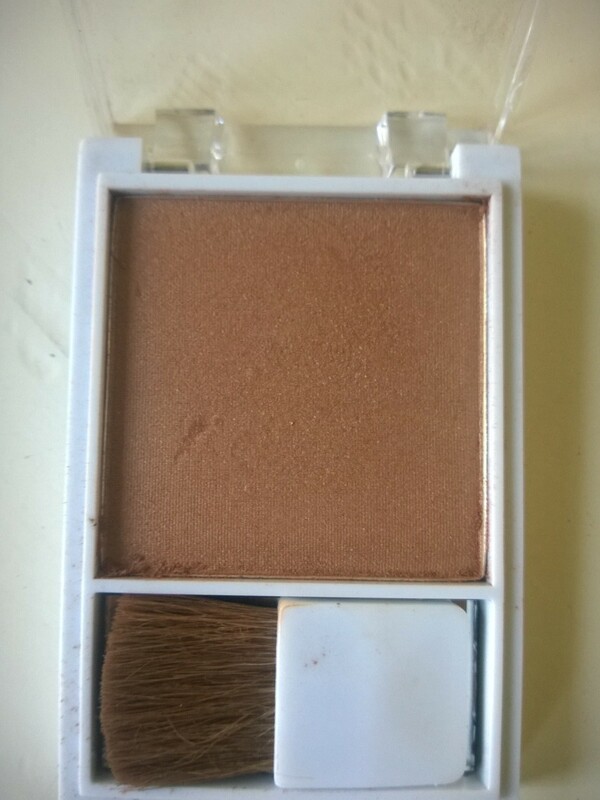 The pictures above show you the colours, I am impressed with the consistency of the left side dark brown colour, it is a gorgeous gel, you use that to do the outline of the eyebrow and then the right side is a lighter brown powder that you use to fill the brow. The problem for me is that it was just too light for my eyebrows, I just didn’t feel that it suited my normally dark dark brown (nearly black) eyebrows! 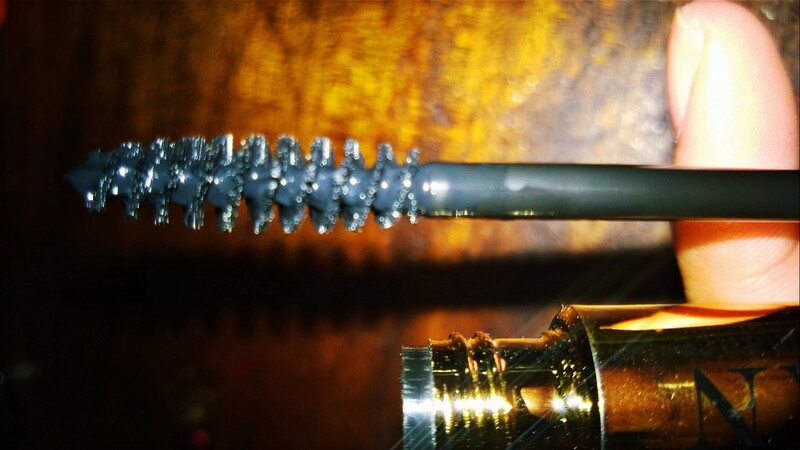 It comes with a tiny brush and a mirror as well. The price point for this is £3.95! 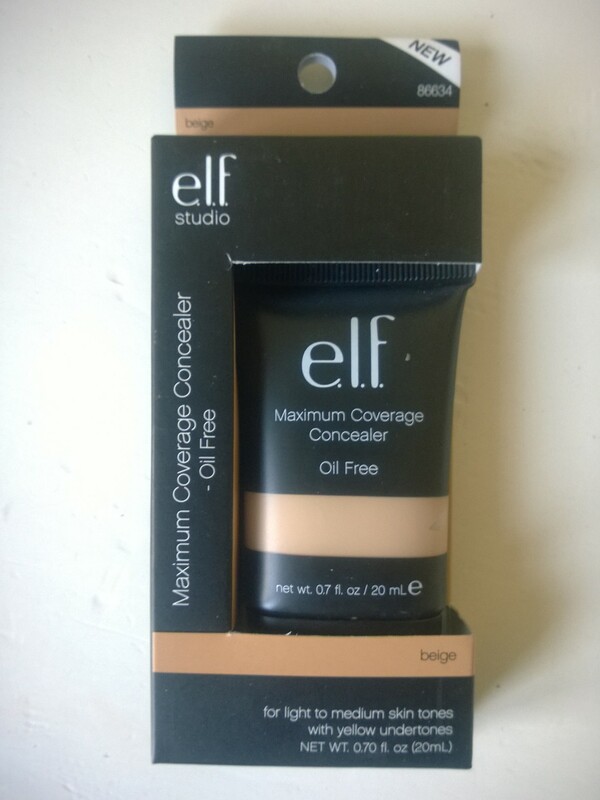 Next up I have the e.l.f Maximum Coverage Concealer in the colour beige, it says oil free on the pack, I was a little sceptical as on first look, it looked a little thin. 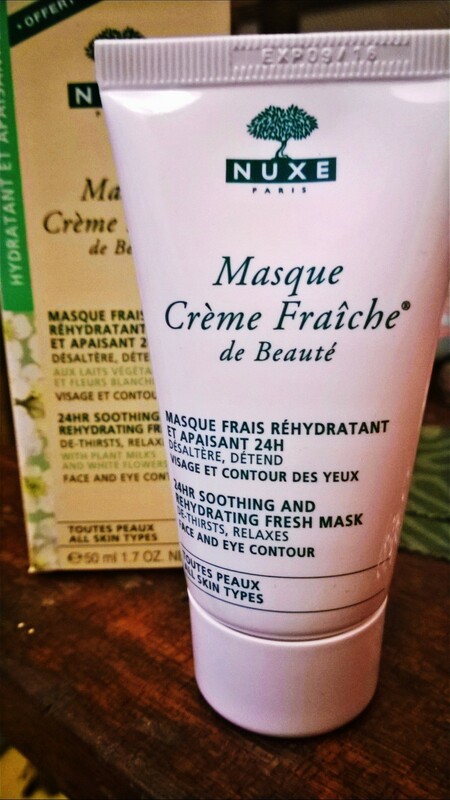 On first application it didn’t cover any of my acne scars on my face, or on second after I had let the first dry and then on the third it did so I was actually impressed! 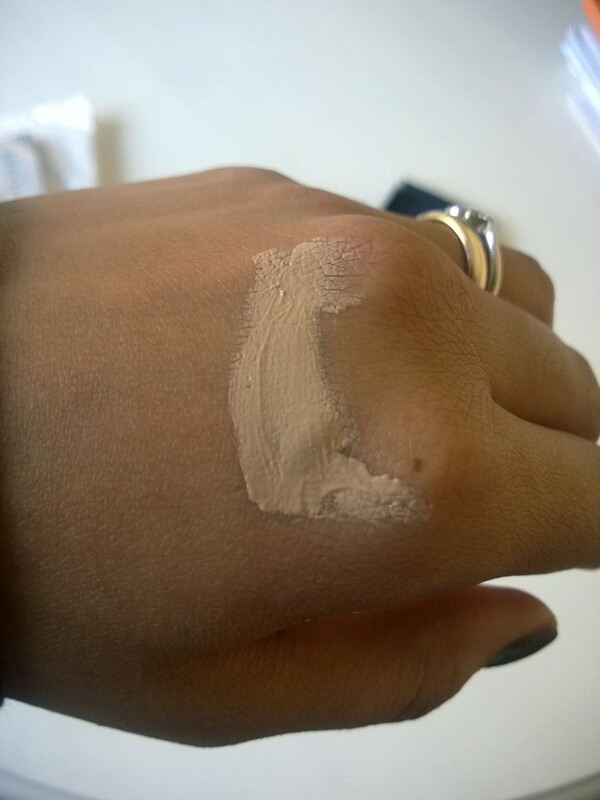 My liquid foundation glided on beautifully after I applied this and it didn’t move this one around too much! It claims on the packaging to cover tattoos, scarring etc. I believe that it would and I am glad, at £3.95 I would say that was a bargain! 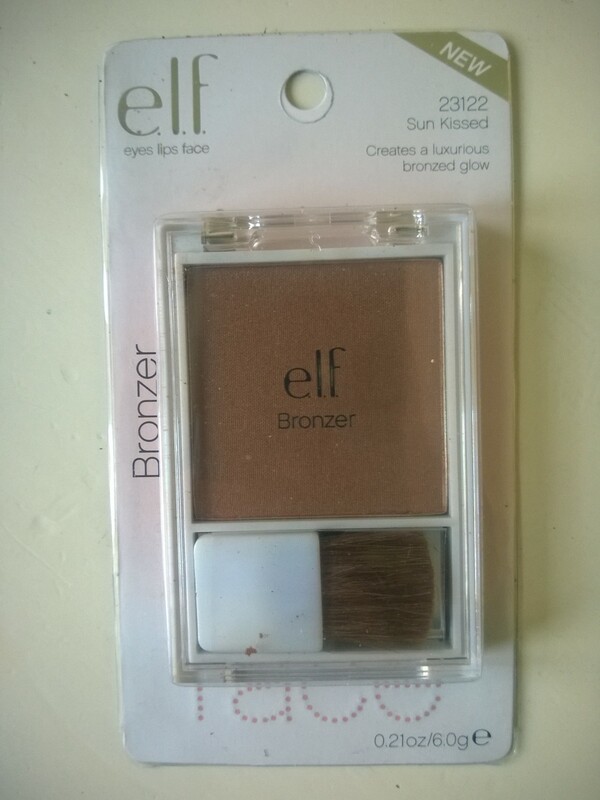 Ah, bronzer! 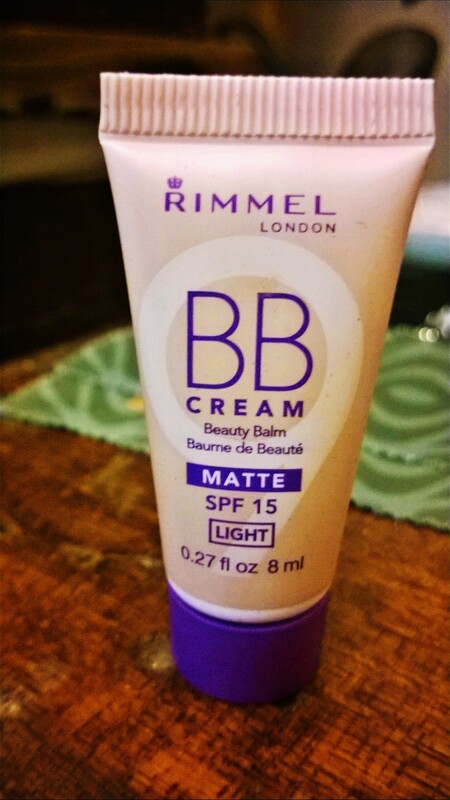 I know, I probably have no business wearing bronzer but even us mixed race girls want to glisten! I have absolutely no complaints about this (actually my only complaint is that it’s so bloody hard to open, ouch!) 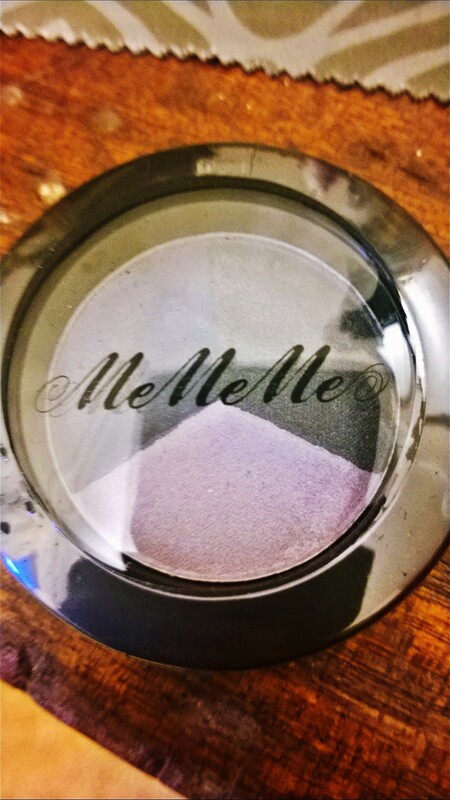 I love it and the colour, the way it looks on my skin and the fact I really don’t have to use much in order for it to highlight my face! 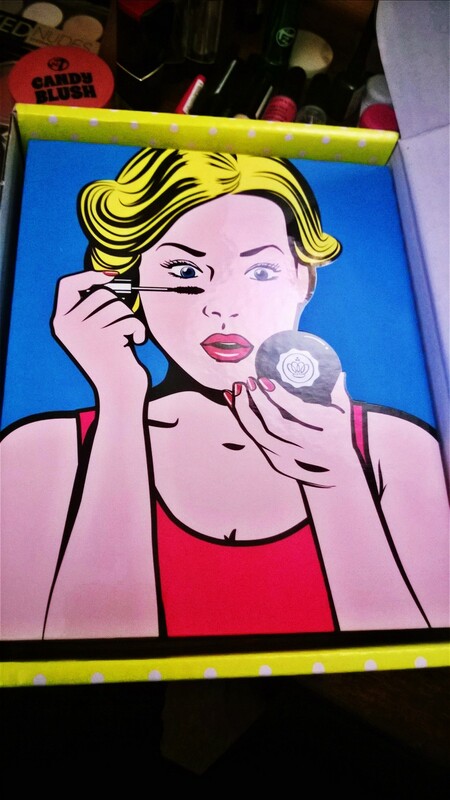 I didn’t use the brush as I have my own one, although I like the fact that they included one! Good value for money at a price point of £2.50. 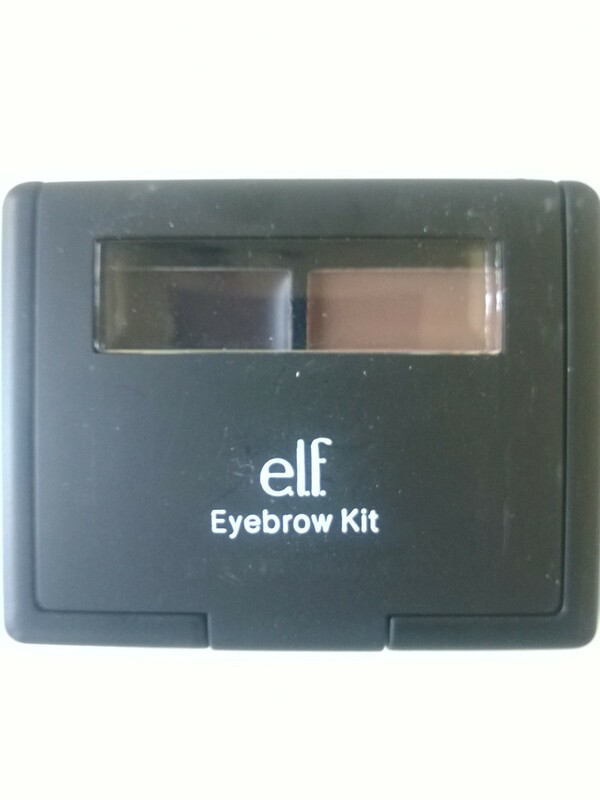 All in all, I am impressed with all of them and if they had a darker eyebrow kit I would’ve gone with that instead, great value for money and also the postage (I’m in the UK) was super fast and came a lot quicker than I expected! * I bought these myself, I have not been sponsored by e.lf and this is my truthful opinion.